Today I broke one of the ten commandments. Although, maybe not, since the person who had what I coveted, which is very real, was not a real person, but a fictional mouse. I am a person who "inhabits" books. And most of the time I find the movie to be less wonderful than the book. This is true of this movie. but it was a very fine adaptation, nonetheless. 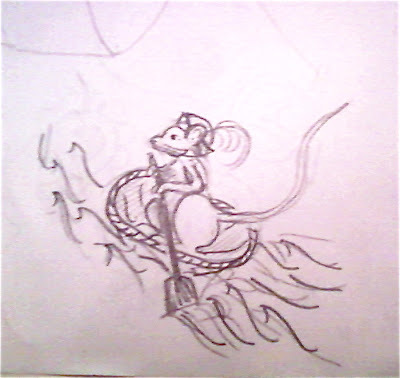 My husband and I went to see the Voyage of the Dawn Treader. 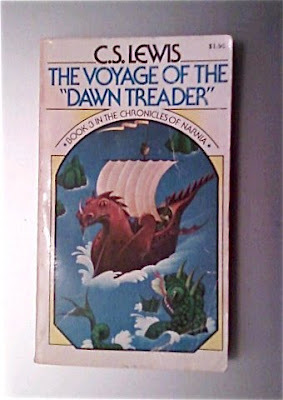 The Voyage of the Dawn Treader is my favorite of all the Chronicles of Narnia. And, as my husband puts it, "Everyone loves Reepicheep!" But when he got into that little coricle and paddled up that wall of water, fearlessly, with grave yet joyous anticipation, I wanted to go too! I, like Lucy, Edmund, Eustice and Caspian, have to wait. And I know I have work to do until I meet Aslan on that sandy strand. Everyday has it's own special adventures and my job is to meet them,whether they are sweet or darkly sour, with grace, learning what I can and looking for opportunities to share what I learn. I think I'll know when the time is right. and I can wait. (I hope I get a little coricle of my own!